I have completely enjoyed doing these articles for Valentine’s Day. I cannot express my gratitude enough to all of the beautiful couples who helped make it possible. Not only have I enjoyed it, I learned from it. 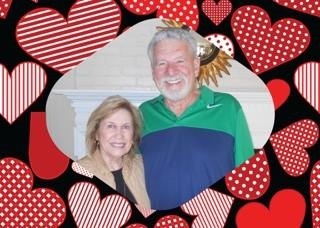 Even though my husband and I will be married 35 years as of June, we still have a lot of years to go before we catch up to my Valentine Couples. I believe I have written before (I know I’ve said it out loud) that when Scott Harper first mentioned writing a Valentine special, I didn’t think it would go over so well. I truly felt I might get one or two couples to choose from, but that couldn’t have been farther from the truth. The response was so overwhelming that I decided to write about everyone I could up to Valentine’s Day. I think my original opinion was largely influenced by the many young couples who put their personal business on Facebook and then complain that people stick their noses into their relationships. I quickly learned that these couples, who have been married for 50 plus years, do not ever do that, with emphasis on ever. Long-term marriages do not succumb to social media. Take Scott and Rebecca Harper for example. They’ve been married for only 20 years and they don’t put their personal business out there and he’s a reporter. It’s his job to run his mouth...So to all you new couples just starting out, take notes and learn, just as I did about how to stay married to the one you love. 1. First and foremost, all of the couples have said that God is important. When you put all of those ingredients together, it bakes a huge pie of the vows we took before God and everyone to love, honor, and respect one another for better or worse, richer or poorer, and in sickness and in health, until death do we part. Holy guacamole! I just met the most amazing couple of all. These two take the cake, the pie, and the whole doughnut shop. They’ve been married for 72 years, 73 as of 2019! I know people who feel fortunate enough to live that long, much less be married this long. Jeep Ford is 94 years old and his blushing bride, Weezie, is 91. They have a lot of stories to tell. As Jeep astutely put it, “I’m a walking history book.” He wasn’t kidding either. “No, I’ve lived here all my life. I was born over on Broad Street,” Weezie corrected with a laugh. “World War II?” I thought that was amazing in itself. They talked a little back and forth about how they dated secretively, how Jeep was frustrated that he never got to further his education with his G.I. Bill, their three children, grandchildren, then back to eloping, and Jeep working at the hardware and grocery store on Front Street, then working fifty years at Parrish Motors. “You worked for Truman?” I asked. “That’s because she’s still so beautiful,” he said of the curly haired girl who stole his heart while riding her tricycle. With passion, Jeep included, “And live by your vows! Love one another for better or worse, richer or poorer, and sickness and in health, until death do you part! I closed my notebook and with a sense of reverence at this amazing couple, I said my goodbyes. 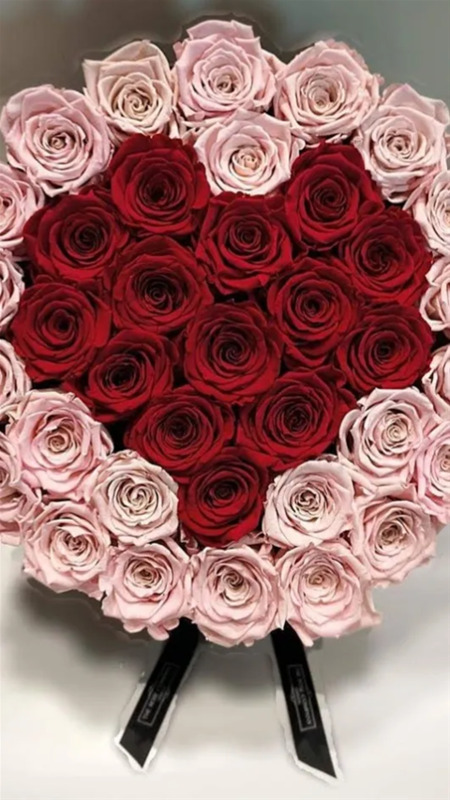 Before closing, though, I have to say that when I first posted on Facebook about writing these articles for Valentine’s Day, these two became a big focal point. Now, I see why. They are a hoot! I loved meeting them and I will always cherish what they gave me. Happy Valentine’s Day, Jeep and Weezie. I hope you have many more good-morning kisses to share with each other. As with all of my Valentine couples, I began by explaining that Scott Harper, of GAB News, likes for me to write these type of articles because I am not a reporter or a journalist and I write from a personal perspective. I’m not there trying to dig up dirt to write a story, as they are my story. That being said, Joe and Catherine Lawrimore have become my next subject. This lovely couple has been married for 53 years. They met in the 10th grade at Pleasant Hill High School. “Pleasant Hill and Choppee High have become Carver’s Bay now. They’ve combined the two schools,” Catherine explained. “So you’ve both grown up in the same community then?” I asked looking from one to the other. “Yes and no,” Joe answered. “Yes, it’s the only one left, too,” Catherine stated, knowing the property I wrote about. She even knew the previous owners. 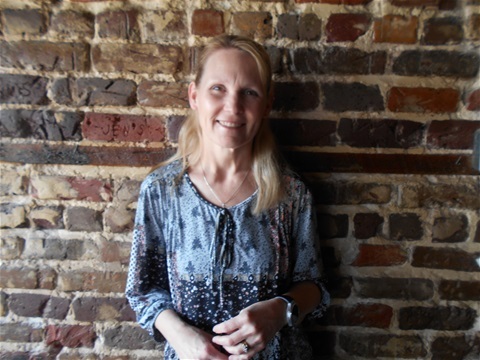 “While he was in the service, I worked on Broad Street in Charleston. I was pregnant at the time...,” she started. “...I came home from Labrador, Newfoundland from the Air Force after the baby was born,” Joe added. During their marriage, they both worked at Georgetown Steel Mill while raising their two daughters. Joe worked in Production Planning before he retired and enjoyed farming afterwards (he has a family farm). Catherine also retired from working in the sales office at the mill. 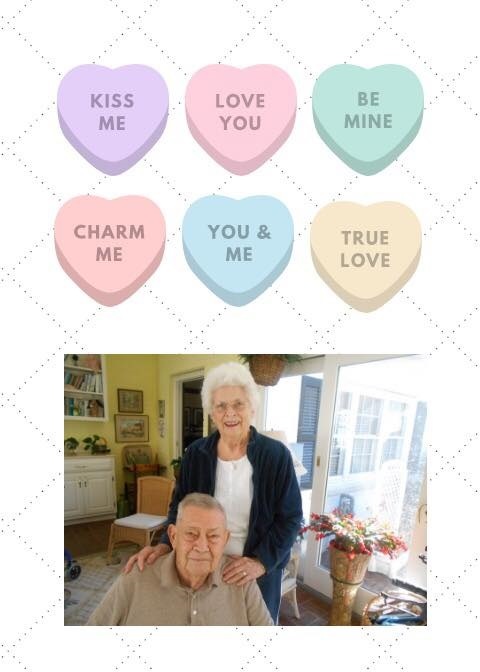 At 72 years old, they both lead very active lives with family, grandchildren, and just with each other. I asked what their Valentine plans were (I think I caught them off guard). They look at each other, shrugged, and said they didn’t have any. Like my husband and I, they’ve been married for so long that it’s just another day. We don’t make plans, either. “I did,” Joe answered without hesitation. “And what would you say is your recipe for a lasting marriage?” I asked as I wrote some notes down in my notebook. Like past couples that I’ve interviewed, without hesitation, they said the first thing any marriage needs is, God. I set aside my notebook as we talked for several more minutes. My husband had come back to pick me up. I wasn’t allowed to drive myself over there. Since driving to George and Ruthie Dugan’s around the corner, he has grounded me from driving and hid the car keys until my eyes get better (he can be so unreasonable!). We talked about our kids and grandchildren and then Catherine pulled me into another room to show me the pictures of their two daughters. On the wall hung two very beautiful young women in portrait pictures. I noticed the radiant smile on Joe’s face. His eyes lit up as he gazed upon his lovely daughters. Yup. I know they are daddy’s girls...no doubt. He probably spoiled them rotten! When I got out to the car with my husband, I was sharing with him some of the information. One thing I mentioned is their age (72 years old). He did not realize they were one of my Valentine Couples. On a side note: Before I go, I want to write about this. I usually refused to write about anyone’s health when I feature people. I feel it is not my place to put their privacy out there; it is the families’ place. However, Catherine has expressed that she wanted me to write it and I agreed to. As a nurse, I can tell you that very few people make it back from brain cancer and/or tumors and most that do survive the surgery and treatments are not necessarily out of the woods, yet. It doesn’t just affect one’s ability to think and process information, but sometimes their ability to walk, or even speak, can be affected. Joe is a walking miracle. He’s one of the few that have survived and that in itself is amazing and worth mentioning. He’s able to think, process, participate, walk, and speak. If no one had told you, you probably would never know. I mention this because as he stood admiring his daughter’s pictures on the wall, just the look of pride on his face told me that in addition to Catherine’s love, his daughters were also his inspiration. 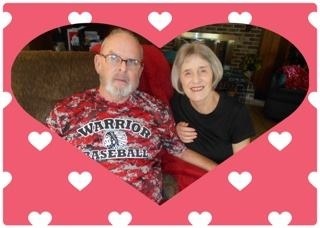 With that being said, I want to wish Catherine, and especially Joe Lawrimore, a very special Valentine’s Day. Joe, you’ve got this and I think you will see many more.